The Karin Sultan is a four-doors sports car in GTA 5. The car resemble the Mitsubishi Lancer Evolution VI. Certain elements such as the rear lamp units are inspired by the Mitsubishi Lancer Evolution VI. Other elements such as the bonnet and spoiler of the Korean Mob variant bear resemblance to the Subaru Imprezaand the Mitsubishi Lancer Evolution VII. Interestingly, ordinary Karin Sultans come with blued exhaust tips, similar to the (assumedly) titanium tips on the Karin Futo GT. The engine sound, bears a striking resemblance to the Subaru Impreza WRX. The Karin Sultan remains grippy,engaging, fast and easy to drive. The car appears to be powered by a 3.5L twin turbo inline 6 engine and AWD (all wheel drive) system, in GTA 5 similar to the first-generation Lexus IS it is now based on. 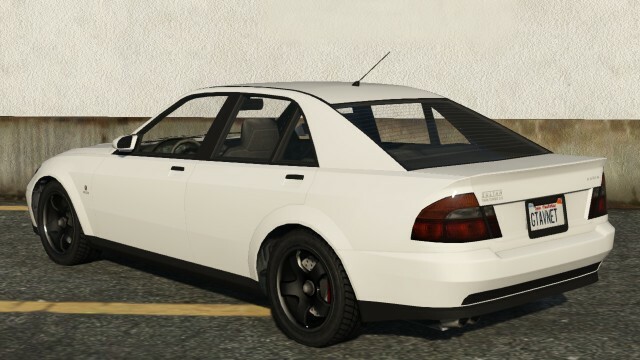 The exhaust note in GTA 5 appears to be modeled after the unequal length exhaust manifold rumble that the Lexus IS300. The car has average performance. The Oracle and Buffalo outperform it in the category of four-door cars. However, because of its AWD nature, the car can easily exceed most off road vehicles, especially when it upgraded. 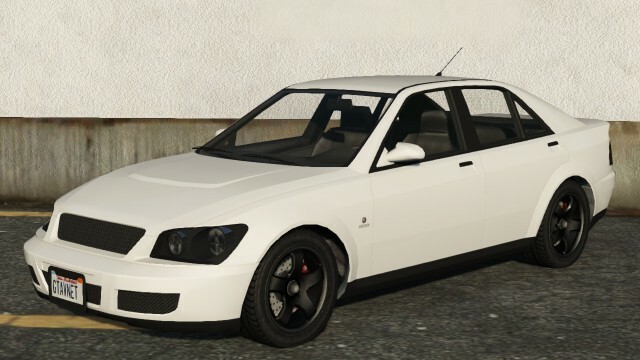 In GTA 5, the Karin Sultan can be modified to look like the Sultan RS (although with 4-doors and missing the side skirt exhaust). Bumpers, Hood,Exhaust, Roll Cage, Skirts, Spoiler, Roof, Turbo. This car sometimes found parked in the parking lot outside of Vanilla Unicorn. Spawns both on the road and parked in Little Seoul and Chamberlain Hills. Will occasionally spawn close to house at the middle of the cul de sac in Grove Street. This car also found along the highway along the top of Blaine County. Driving a sports class of vehicle (like Annis Elegy RH8, Obey 9F, etc.) will increase its spawn chance. The Karin Sultan sometimes found driven around Sandy Shores. Thieves stealing your venue’s money in Property Management missions often drive Sultans. The Sultan can be found at Los Santos International Airport, especially if the player has not driven a car yet or has a unique vehicle that does not spawn anywhere, such as the Bodhi.